Mhlobo Jadezweni was born in Idutywa on 14 June 1954. He matriculated from St John's College in Umtata and studied at the universities of Fort Hare (BA) and Stellenbosch [HonsBA, MA]. He qualified as a teacher at Cicirha Teachers' Training College in 1974 and taught at various schools in the Transkei. 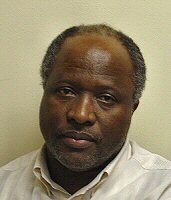 He has been at the Department of African Languages, University of Stellenbosch, since 1983. During 1987 Jadezweni undertook special training in Suggestopedia for the classroom by the Institute for Language Teaching at the University. He was invited as a guest academic by the University of Leipzig in 1998 / 99 and in 2002 by the University of Bayreuth, both in Germany. Since 1996 he has been a member of the Open Day Committee; from 1998 a member of Stellenbosch's Strategic Planning Committee; and from 2001 a member of the Marketing Committee of the Faculty of Arts. He also serves on provincial and national language committees and organizations, viz ALASA, SAFOS, i-MAG and others. He is the author of several reports and publications on Xhosa poets and writers, has translated stories and contributed the chapter, Xhosa Skrywers, to the Ensiklopedie van die Wêreld. His price winning children's book, UTshepo Mde, has been published in several bilingual editions, including Afrikaans, English, Swedish and Portuguese. Mhlobo Jadezweni is married to Nokuzola, a high school teacher in Khayelitsha. They have three children: two sons and a daughter. 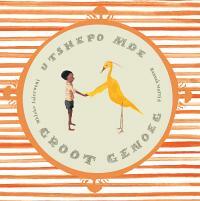 The original Engels/Xhosa-edition of Groot genoeg (2010), UTshepo Mde/Tall Enough, was nominated as a South African honorary book by IBBY (International Board on Books for Young People). 1992. Time to fly. Stellenbosch: UPTRAIL.